Not sure if anyone has seen this, I thought they seems to be a good deal so bout myself one. 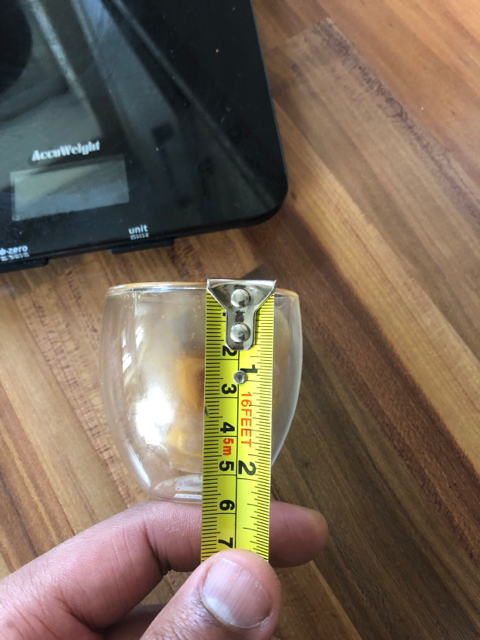 The large ones are very tall (I have 1 left), I can't get up on a scale and under the group even with a naked portafilter and the Vesuvius has a good group height. 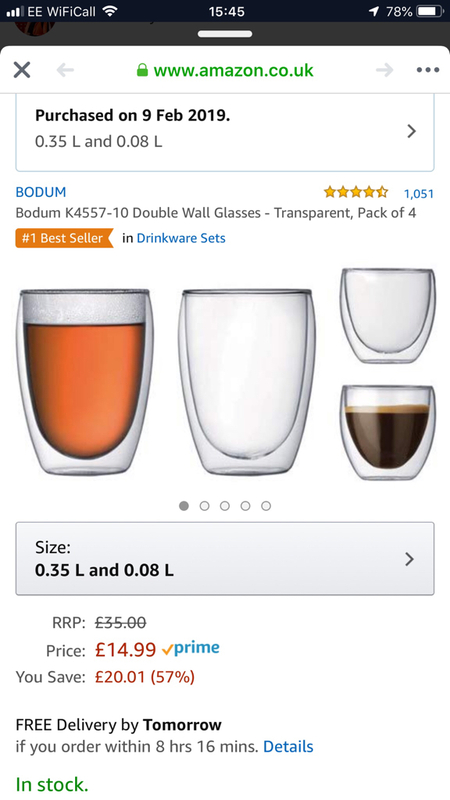 The Rachel's 250ml ones are far better, but unfortunately amazon have no more in stock at the moment, if ever. I got 4 of them and they have been great. 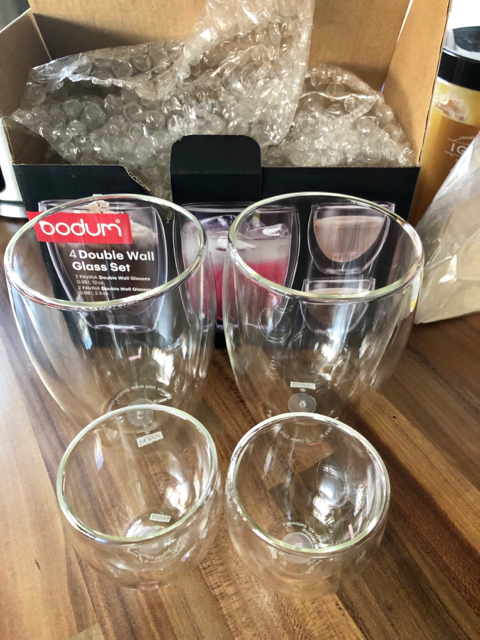 I seen an 8 cup bodum French press with 2 of those smaller double walled glasses include for £15, seen it on John lewis though it was a good price also. I saw.that too and ordered 4 sets (2 for my family) and Amazon kept me waiting for about 3 weeks and said it was reported by the seller that he no longer has sold out. They cancelled my order without trying to rectify the situation. I got mine delivered today. Will send pics in the morning. Not opened it yet though as I’ve been out. 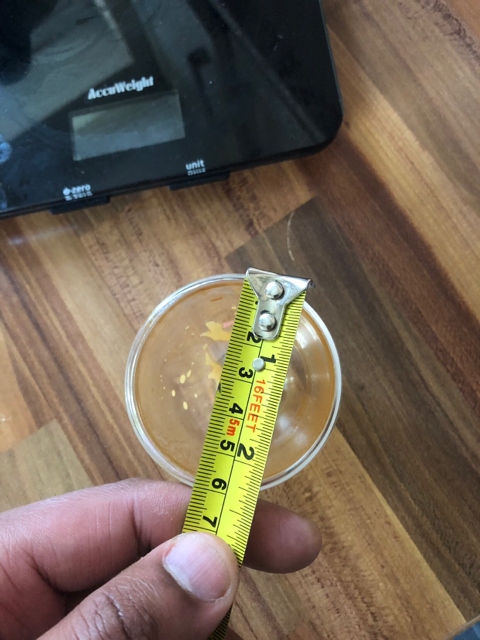 @MarkT would you mind measuring the height of the shot glasses, please?